to supporting you, inspiring you, and sharing our love of animals with you. Please look in your inbox for further instructions. If you don’t see an email from us, please check back in 20 minutes. Our system may take between 2 – 20 minutes to process your order. 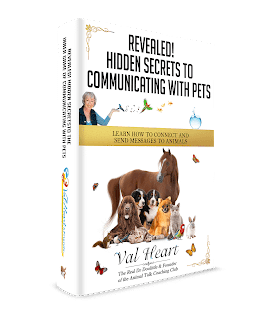 Helping people who value a non-invasive, holistic solution to resolving problems with their dogs, cats and horses, and who want better behaved, healthier, happier animals so they can enjoy greater peace of mind, joy and harmony.